The leaves are dark green in colour, hairy, have a toothed (serrated) edge an overall ‘spear-like’ shape – i.e. much longer than they are wide and they come to a point at the tip. The leaves are arranged opposite to each other. 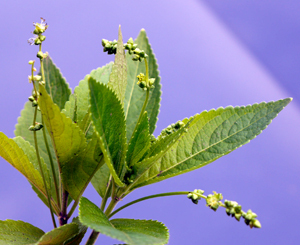 The stem is hairy and unbranched, with more leaves present near the top than the base. Plants may reach a height of about 15 in / 40 cm. There are separate male and female plants (i.e. the species is dioecious). 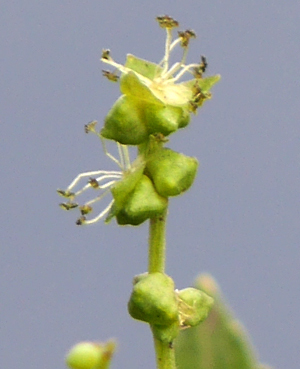 The flowers are born at the base of the leaves (not dis-similar to nettles). The flower spikes (about 1 to 1½ inch long, stalked tassels) appear between February and May. The catkin-like male flowers have a yellow colour, due to the many yellow stamens (see photo), and the female flowers have 3 tepals (a term used when petals and sepals are the same or indistinguishable). It is one of the first plants to ‘bloom’ in the Spring, shortly after its shoots push their way above ground. When the fruits form, they are hairy. The seeds are quite large (about 3 – 4 mm in diameter) and 'offer a meal' to small mammals and birds. Photograph above : courtesy of 'Wild Flowers of the British Isles' : visit http://ukwildflowers.com/index.htm Image remains copyright of Peter Llewellyn. 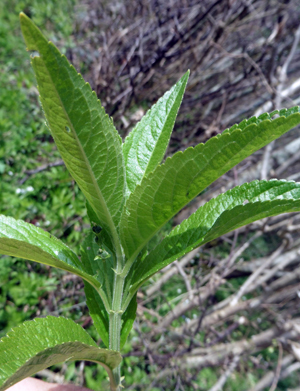 Dog’s Mercury (Mecurialis perennis) is sometimes referred to as ‘dog’s cole’. It is a perennial and is found in woodlands (particularly of beech and oak). It is also to be found in shady places, like dense hedgerows. It is found widely throughout Britain (except Northern Scotland). Its distribution in Ireland is much more limited. It can spread by means of its underground rhizomes (stem-like structures that penetrate through the soil) and when it finds suitable conditions, it may form a carpet of plants. It can be quite invasive – especially in shady places. The smell or scent of the plant is often described as ‘foetid’. This is probably due to the presence of chemicals such as trimethylamine, a compound that can give an aroma not dissimilar to rotting fish. The plant is toxic / poisonous. Dog's mercury is a member of the Spurge family (and related to wood & purple spurge), but it does not have the usual ‘milky juice’ in the stem. At one time, the leaves of the plant were used to make a dye. 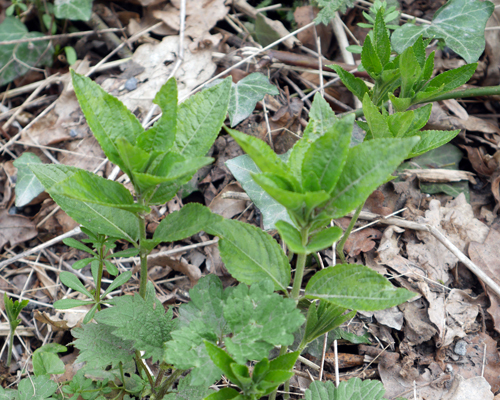 Shoots of dog's mercury in early Spring, and below a close-up of flower buds and the leaf margin.